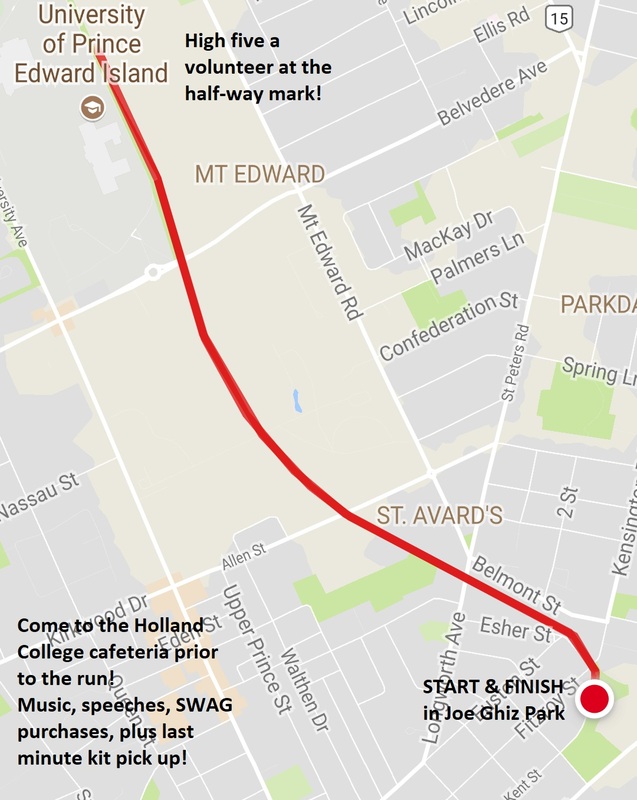 Come to the Holland College cafeteria before the run for last minute kit pick up, music, speeches, and SWAG purchases! 2017 event was SOLD OUT so register early! Team Registration : Saturday November 17, 2018 @ 6:00 P.M.
5K Run/Walk : Saturday November 17, 2018 @ 6:00 P.M.
Family Registration : Saturday November 17, 2018 @ 6:00 P.M.